For nearly two decades, The Oasis Sanctuary has been a safe haven for unwanted, aged, neglected, injured and special needs parrots. For countless birds, The Oasis is their last option and offers a new beginning. As the largest exotic bird permanent life care facility in the U.S., we are in desperate need of upgrading our facility. We believe it is time for a new investment in our birds, one that will surpass the current standards of animal welfare… and literally save lives. Help us build a better home for the Birds! For nearly two decades, The Oasis Sanctuary has been a safe haven for unwanted, aged, neglected, injured and special needs parrots. For countless birds, The Oasis is their last option and offers a new beginning. It is our continued mission to provide them a life-long , safe, enriching and loving home so their healing can begin. As the largest exotic bird permanent life care facility in the U.S., we are in desperate need of upgrading our facility. The 40+ year old buildings on the property have definitely served a purpose but have deteriorated from age and the harsh desert climate. 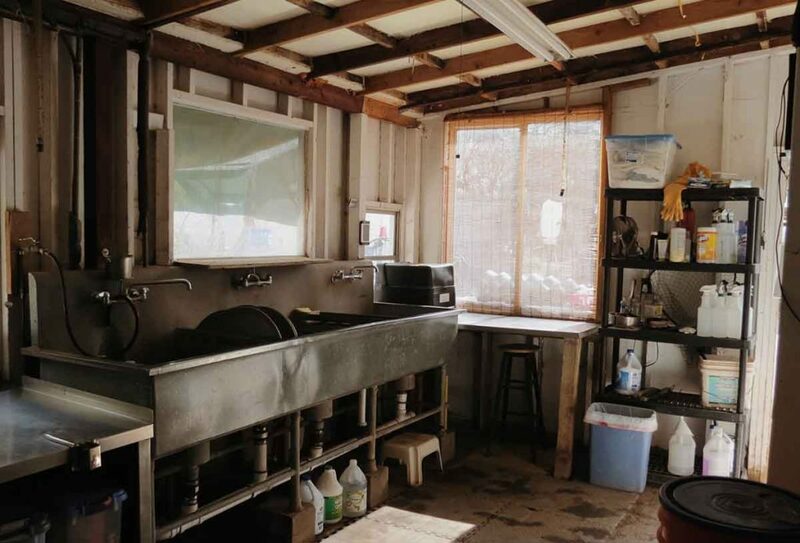 The small front section of the “Bird Barn” currently designated as staging for food preparation and storage is lacking in space and functionality to support daily operations. The next step is a $1.2 million campaign to bring new facilities that will enable further enrichment for the birds and efficiencies in operations. With the construction of two structures, a bird building and service center, we can offer the birds the best of both worlds. With indoor and outdoor options, the bird building will offer choices and greater independence. The efficiencies gained by the service center will expedite washing and sterilization of food and water bowls. Currently, it takes more than 4 hours a day to hand wash and sterilize over 550 food and water bowls. 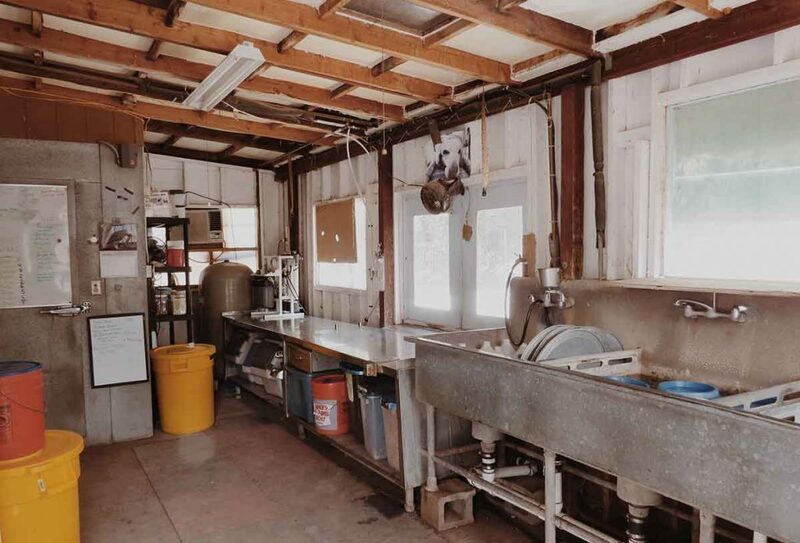 The time saved by having commercial grade equipment such as a dishwasher will allow the staff to spend more quality time with the birds and attend to special projects. The expansion will allow The Oasis Sanctuary to enhance longstanding successful programs directly benefiting the birds while complimenting the existing aviaries. Although The Oasis has been resourceful over the years, recent growing pains have challenged us. We believe it is time for a new investment in our birds, one that will surpass the current standards of animal welfare… and literally save lives. Thanks to the generous support of committed donors, the Capital Campaign has already raised more than $25,000 of the $1.2 million necessary to begin the first phase of site preparation. The Oasis’ ambitious yet attainable goal is to have a major part of the fundraising portion of the campaign completed as early as November 2017, with construction to begin shortly after. Your support can make it happen. The Bird Building is approximately 4,000 square feet and will provide housing for approximately 150 birds. It will have a climate controlled interior, misting system and a well ventilated outdoor area. Additional enrichment will be provided for special needs birds with outdoor opportunities and fresh air. The building is designed to have retractable doors that will allow the birds to move freely from inside to outside areas when the weather permits. Insulated metal construction will make the building easy to maintain as well as rodent proof. The design will be easily replicable for future expansion. The building will be architecturally pleasing and will permit the use of more natural habitats for residents. The Service Center will be the central hub of daily field operations and will contain a commercial style kitchen designed specifically for food preparation of the varied, specific diets of our residents. Additional equipment will include commercial dishwashing and sterilizing equipment, laundering center for washing and drying, restrooms with showers, break area, and volume food and supply storage. This building will be designed for efficient drop-off of dirty food and water bowls, and pick up of clean sterilized bowls with fresh food and water. The design will incorporate state-of-the-art solar hot water and photo voltaic collector panels as well as a rain water harvesting system. Grey water recycling will be incorporated into the design. The completion of this building not only means we can enhance the care for the current population that live at our facility; it will allow us to expand our life saving efforts to more birds in need and support our growth for years to come. Architect, Brian Lockhart spent 4 years of professional training at The Frank Lloyd Wright School of Architecture located in Scottsdale, Arizona and Spring Green, Wisconsin after attending 2 years at Beloit College, Wisconsin. He first came to Southern Arizona in 1972 to work at a Community Action Project building homes for the Pascua Yaqui Indian Nation southwest of Tucson. During a particularly dry hot summer, the spectacular monsoon lightning display in the Southeast intrigued him with the promise of moisture (it was really hot). That possibility drew him to the mile-high town of Bisbee in Cochise County where he ended up living for 26 years establishing an architectural practice and raising a family. 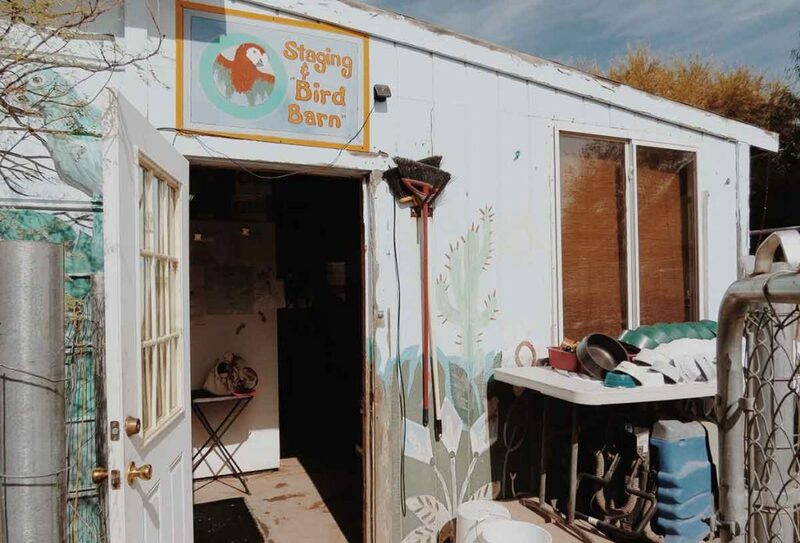 One of only 4 architects in that corner of Arizona, he learned to make the most of every design opportunity, from a bird watching station for the City of Sierra Vista to custom solar homes of rammed earth and Rastra to modest owner built strawbale homes. He also did commercial work including doctor and business offices, a folklore performance space, day care centers, educational projects and more. Still working in Southeastern Arizona, Brian now lives in Tucson along with the rest of the Design Team. After being selected Project Architect, Brian began extensive information gathering with the Oasis staff regarding the present and future operation of the Sanctuary. The intent was to establish goals and priorities leading to a master plan. Where did the Oasis want to be 10 years from now and what kind of improvements would be best to achieve those goals? Our many discussions resulted in not only a master plan, but the proposed Service Center and prototype Bird Building (this building is capable of being replicated). The site for these two new buildings is just north of the existing Oasis complex. We progressed through a number of revisions until the current design and completed construction documents in the Spring of 2014. Plans were then submitted to and approved by the Cochise County. We are now in the process of fund raising. For more information about Brian Lockhart Architect please see his website www.brianlockhartarchitet.com. Hyman Kaplan dba Hy-Lite Design, Electrical Engineering and Lighting Design has been a professional Electrical engineer since 1972. He is registered in six western states and is a Member Emeritus of the Illuminating Engineering Society of North America and a Professional Member of the International Association of Lighting Designers. Hy has been involved in a wide variety of government, commercial and industrial projects throughout the US. He has also been very active as a member and chairman of International Code Councils, Energy Commissions, Conservation Codes and Lighting Committees. Hy takes great pride in doing highly professional electrical design work with particular emphasis in achieving high energy efficiency ratings for his projects. For the Oasis Sanctuary Service Center, Hy was limited by the prevailing energy conservation code to a maximum use of 3035 watts of power for the Service Center and 3600 watts for the Bird Building. Hy designed the electrical power and lighting system to use 1767 watts for the Service Center and 1200 watts for the Bird Building. This dramatic reduction in energy consumption was accomplished by efficient design, and using the most affordable lighting fixtures available to our budget. Al Nichols of Nichols Engineering was our Mechanical, Plumbing Engineer and Energy Designer. Long known for his advocacy for higher standards in energy and water conservation, he is also an inventor, notably of a solar water purifier and an excellent solar tracking cooking oven. He is as comfortable presenting a paper before a government board as he is minding the solar oven at an Earth Day celebration. Al has won 16 energy and engineering excellence awards including a national award for conservation since becoming an engineer. Al’s Tucson office and home is located in the well-known Civano Project. In 2010 he authored a book documenting this the largest high-performance sustainable neighborhood in the country. Al specified high efficiency heat pump heating and cooling systems for the Oasis Project. In addition, to take advantage of our hot dry summers, he has called out as an alternative Cunningham evaporator coolers. These are locally designed and made of stainless steel. They use a fraction of the electricity of comparable commercial coolers. Al has specified that these coolers have solar photovoltaic panels attached so that their use will be without input from the local power company. Al has also specified a gray water system to recycle water and minimize our septic system. In addition, he has called out for roof gutters and downspouts directing rain water to our landscaping. Ahmed of A & A Structural Engineers, Inc. is our Structural Engineer. Ahmed has been a consulting Structural Engineer in Tucson for the past 37 years. His firm has designed hundreds of projects ranging from small residential quarters to large shopping centers, hospitals, churches, industrial warehouses, bridges and public buildings locally and in many states. Ahmed takes particular pride in finding practical and, when required, innovated solutions to meet the owners’ needs. For the Oasis Project, Ahmed was faced with a challenge. The Service Center uses electric carts to deliver the meals to and return dirty dishes from the large bird population. There is a line of windows on the North side of the Building for pick-up and a similar line of windows on the South side for drop-off. The Service Center will become a hub of activity and its efficiency depends on very generous roof cantilevers and a large interior breezeway to make the circulation work well. Ahmed designed the metal roof to extend 10′ without posts all the way around the building, in addition to a 20′ breezeway between the Kitchen and the Laundry/Toilets. Although Cascabel can be hot in the summer this added shade will give our staff a huge helping hand as well as providing inexpensive work space. We are fortunate to have Lloyd Construction, one of the largest and most respected locally owned and operated general contractors in Southern Arizona as the contractor for the Oasis Sanctuary Project. Since 1969 when Bill Lloyd Sr. founded Lloyd Construction in Tucson over $1 billion of many of the most important buildings built in Southern Arizona have been successfully completed by them. Recent structures include: The Mother/Baby Pediatrics Department of Tucson, Medical Center, The Salvation Army Hospitality House and Emergency Center (33,500 sf. ), City of Tucson West Side Police Department, Vail School District Empire High School 556 seat Auditorium, Improvements to Tucson Botanical Gardens and many more. Lloyd Construction has won many awards for their outstanding work. In 2014, for example, They won the following awards: Large General Contractor of the Year (Cornerstone Building Foundation), Southern Arizona Citation (AIA, U of Arizona College of Education World of Words), Award of Merit-Green Project, Pima County First Net-Zero Project, Residential Energy Efficiency Award (All for the Primavera Foundation’s Las Abuelitas Family Housing). For 46 years Lloyd Construction, has been committed to being a community member and under the continuing leadership of Bill Sr.’s sons William and Bradley have a long-standing tradition of supporting our community through not only their projects, but the organizations they support. They believe that Client Partnering = Community Connections that go beyond the completion of a project. As they say, “We do not put a time line on partnering once a project has been delivered” . The Oasis Project has benefited greatly from the help and guidance we have received from President Bill Lloyd. While not nearly as large or costly as many of their projects, Bill has given the Design Team many hours of his time and dedication for the success of the Oasis Project over the past 4 years. His advice in the fields of construction, costing and scheduling have been invaluable. Lloyd Construction is our partner in this exciting project that is so vital to the success of the Oasis Sanctuary Project. We feel that we are in trusted hands and look forward to a speedy and quality construction. Please see their website at www.lloydconstruction.com for more information. Art piece with donor recognition opportunities is coming soon! Please check back for more information on how you can help us Fly into our Future. As a 501c3 non-profit organization we rely solely on donations from caring animal lovers like you. To meet their needs, we ask you to be a key part of this critical project. Together, we can help provide these less fortunate and intelligent creatures the life they deserve and make a lasting impact for them. Every gift counts because every bird counts. Posted on January 26, 2017 by oasisadmin.